This is one of the many declarations I make to command my personal space, which simply means to protect it from lower energies/entities/forms of consciousness entering into it and manipulating me or my energetic field. As you may already know, this is the first step to impede these lower beings and energies to use you for their dark purposes - impeding you to stand tall in your light and mission. First of all, make sure you do the conscious inner work of healing/releasing/dissolving anything that is not aligned with who you have become and with your Unified Self's Will. After you are sure you are doing all you can to purify yourself - not just in the physical but in all the non-physical aspects of you as well - hold the intention to only serve the Law of One, and hence Truth, making so within Divine Love and from a selfless space of service to All,. 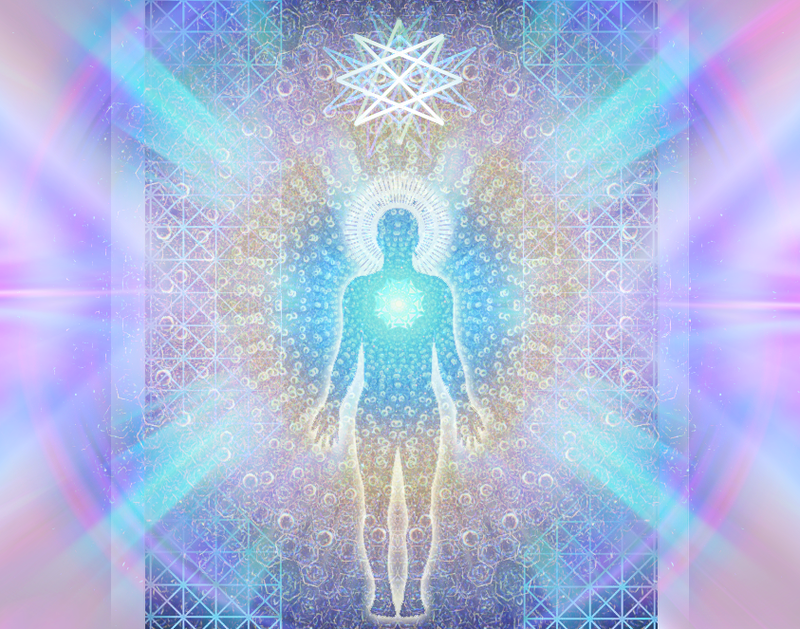 Thereupon, you are ready to command your personal space - from an empowered space and with the assistance of your light companions (and any other being you have a connection with, as long as coming from the love and light of the Divine) remembering that, the first main guidance of all, is your Unified Self and Monad. This declaration is meant to command, and protect, your personal space by your own Divine Power. This is not meant to call upon others forces or beings to do this for you, for you are already a sovereign Divine being in control and in power of your own reality whether human or not. I understand there are many souls who come here with the soul contract of allowing other energies or beings to act through them in order to bring a higher wisdom and assistance to All - perfect and equal mission as the rest of us carry. However, as ascending souls, we do not need any outer being or force to act or speak through us, we do not channel, we do not let others occupy our sacred space, for even if, as humans, we also need assistance, we already come here empowered enough and from a unified space to be able to do our mission by being whole and having our own wisdom which comes from our Illumined Unified Self and no one else. Other beings - as an extension of who you are, in other planes - are here to help, protect and co-create with us, never for us to depend on them or in what they know, for it is what we already know, as well, from our own Divine Source. Therefore, if you still feel that you cannot command your personal space without other beings doing this for you, it is perfectly fine where you are, call upon your companions and do it in your unique way, for this declaration is not meant to rely upon others but your Self. Remember, Beloveds. 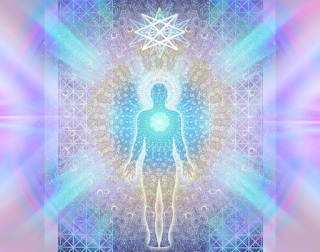 You are now sovereign free beings, having a human experience but being fully aware of your soul desire to assist All only from the Truth that come from Divine and the Illuminated Realms as well as by your own Essence and the unique mission you bring here to help All, without excluding anything or anyone, for All is a part of Creation. I _(your name)_ call upon my Unified Self, Monad, Guides and LightLove beings, helping me on my human journey, coming from the love, light, truth and unity of God to assist me protecting my personal and sacred space of everyone and everything - incarnated or not - of negative thought forms, other form of consciousness and everything vibrating in the opposite frequency of the Divine Love that I AM. I _(your name)_ as a sovereign free being, conscious of where I put my intention, and responsible of all my thoughts, actions and creations in the physical, as well as non-physical planes, clear now my personal space of all debris, negative thought forms and anything that is vibrating in a lower frequency, in this earthly plane, where I dwell and in any of the other dimensions where other aspects of me reside as well. I am fully anchored to Mother Earth's power, as I am Anchored Above - acting from a unified space to be able to assist, at all levels, in the physical and in the non-physical aspects/dimensions within Creation where I also exist. I AM forever working in perfect unison with God and with the Forces of Light of this Universe and all multi-universes. I __(your name)__ thank you for helping me purify all the channels within my physical and non-physical bodies, removing all lower entities/energies, from this current timeline to all existing, so only the light - Truth - and protection of the Divine can descend through me, allowing me to act as a pure conduit of the Divine, wherever I am, without any other entities or lower energies interfering in my personal decisions, space and personal soul mission. I decree that my only and pure intention is to only be here, incarnated into this physical realm, at the same time that I too operate in other multidimensional dimensions, serving my God Self 's Will to assist All who will benefit from my Essence and Presence, and as this will be, always, my intention, I make of this declaration a permanent and irrevocable one. Therefore, I declare that no being/entity or form of consciousness - coming from an unloving source - can act without my permission, or enter into my personal sacred space and act through me or for me, for I only serve a Higher Will and Power who works in selfless service, from a total space of respect and unconditional love to All beings, things and other form of consciousness within Creation, practicing, always, the Law of Harmlessness to All. I AM a LoveLight being of the Divine - giving form to a Human body - and as such, I AM always One with this - unconditional - loving, non-judgmental and forgiving Source within me, and I declare that I use this infinite loving Power, within me, to only serve All, in an unconditinal, compassionate and loving way. I AM a pure conduit for the Divine Light, I AM always protected, for I AM, always, One with God, forever acting as a sovereign being in service to humanity, from a pure space of Divine Love, and never from an egoic one. For I know I am always One with All that exists and have ever existed within Creation. And So it is and it will be so by Grace and in a perfect way for All! After this statement, you are ready to make any other declarations of intention, healing or any other session you would like to maintain with your Guides or simply to be able to be protected and make the conscious statement of only allowing the Forces of Love and Light within your sacred space.